American Dream Heating and Cooling delivers a full range of services to our Central New Jersey area customers with professionalism, integrity and guaranteed satisfaction. Don’t sit and freeze. American Dream offers same-day service for heating emergencies. 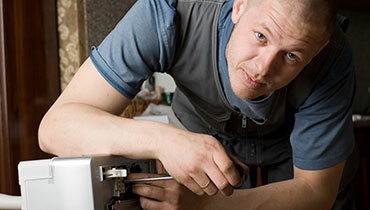 From electric and gas furnaces to heat pumps, we repair and replace all heating systems except those that run on oil. 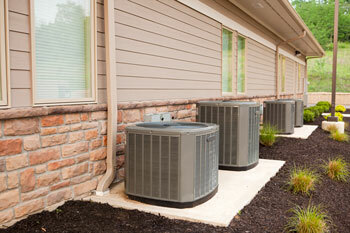 Looking to save money on your heating bill with a new, energy-efficient system? We can guide you through the good/better/best options for your home and offer free, no-obligation consultations. We also feature ENERGY STAR® rated heating systems, so you can save big on heating costs during the winter without sacrificing one degree of warmth. Beating the Central New Jersey heat is no sweat with help from the American Dream team. When you need service or repair on your home air conditioning system, our top NATE certified technicians have what it takes to tackle the project with precision and return you to full comfort quickly. When it’s time for a new system, we will make the process easy by assessing your home at no charge, showing you the good/better/best options available, and designing a system that fits your situation and budget. Relatively minor problems can spiral into costly emergencies if you let things go. Before the cooling or heating seasons, it is a good idea to have your system checked out by one of our maintenance experts. The American Dream team will conduct a thorough inspection and cleaning of your air conditioning and heating system to improve performance and avoid budget-busting breakdowns. For even more peace of mind, we offer annual preventative maintenance plans that keep your equipment operating at peak efficiency and cost savings year-round. Call us for details. Indoor air pollution can be worse for you than outdoor pollution. If you want cleaner, healthier indoor air, we can supply and install the latest in air filtration, air decontamination, dehumidifiers and humidifiers. Leaky and undersized ducts can spike your air conditioning and heating bills, weaken equipment capacity and performance, and cause indoor air quality problems. American Dream Heating and Cooling offers complete residential air duct repair and design services to keep the good air flowing for many years to come. American Dream works closely with contractors to make sure the heating and air conditioning portion of a new home construction project goes smoothly and achieves maximum energy efficiency. Our owner, Artur, started in construction framing houses, and is uniquely qualified to recommend and install the perfect system for long-term comfort and performance. American Dream Heating and Cooling has the expertise to get your small business or commercial building running at peak efficiency – from timely service on your heating and A/C system to an energy-saving replacement. Our commercial HVAC service in the Central New Jersey area provides fast response and on-the-mark solutions at budget-friendly prices. 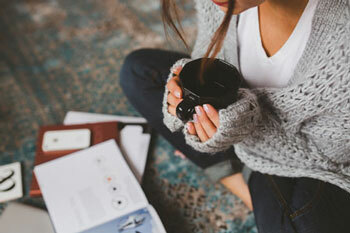 For affordable heating and cooling services designed to make you comfortable, confident and 100% satisfied with the experience, American Dream is the real deal. Call us any time at (732) 952-3457.